From the Treylor Park team comes this Downtown hot spot serving American favorites with a creative twist, as in shrimp and grits tacos, duck confit pizza and famed PB&J; wings, plus cocktails. The dining room has an intimate vibe, with lots of wood and modern accents. If you follow the downtown restaurant scene, you probably already know about Hitch, the new restaurant from the team at Treylor Park.In fact, if you follow the downtown scene, there’s a good chance you’ve already eaten at Hitch, which seems to be doing brisk business in its first few weeks. Savannians and visitors alike are quickly making the Bay St. restaurant, Treylor Park, a must on their to-do list. The laid back atmosphere, unique comfort food, and spicy Pickle Back shots keep everyone coming back for more! 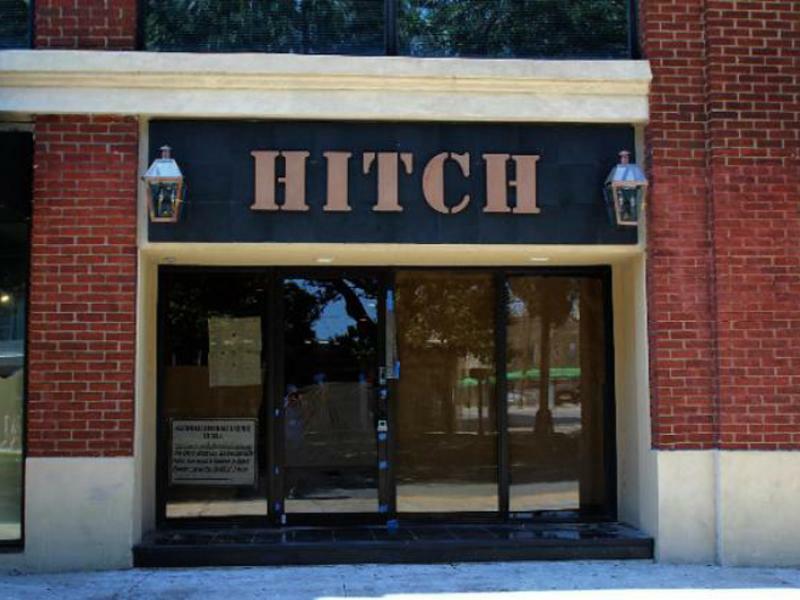 Now, the owners have given us another feel-good place to enjoy… Introducing Hitch.